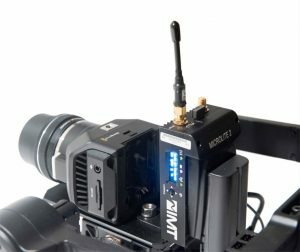 LAS VEGAS, APRIL 6, 2018 – xG Technology, Inc. (“xG”) (Nasdaq: XGTI, XGTIW), a leading provider of wireless video solutions for the broadcast, law enforcement and defense markets, and private mobile broadband networks for critical communications, announces that its IMT Vislink business will be showcasing its new MicroLite 2 Wireless Camera Transmission System at NAB 2018 (Booth C6008). The system includes both the MicroLite 2 transmitter and receiver, which allows the capture of real-time, high-quality video from cameras, creating a turnkey wireless camera solution. For those looking to upgrade their current system to the advanced capabilities of MicroLite 2, IMT Vislink is now offering a competitive trade-up from other vendors’ products. Hand in an old system and receive the latest, most innovative video transmission solution at a special discounted price. “We are convinced that MicroLite 2 is the most compelling, mid-market solution available today,” stated Payne IV. “Our Competitive Trade-up Program allows users to make the move from lower-end alternatives to the best value in professional performance video transmitters.” To find out more about the competitive trade-up, contact the IMT sales representative for your region at this link. xMax is a secure, rapid-deploy mobile broadband system that delivers mission-assured wireless connectivity in demanding operating environments. xMax was specifically designed to serve as an expeditionary and critical communications network for use in unpredictable scenarios and during fluid situations. This makes it a compelling solution for disaster response, emergency communications, and defense applications. More information about xMax can be found at http://www.xgtechnology.com/system-overview/. In addition to the above business lines, xG has a dedicated Federal Sector Group (xG Federal) focused on providing next-generation spectrum sharing solutions to national defense, scientific research and other federal organizations. Additional information about xG Federal can be found at http://www.xgtechnology.com/technology/xg-federal/.